I have peppers on the pepper plants now. Mna this garden is doing just what I had hoped. Now I can share with the family. Last edited by grease monkey on Sat Jun 19, 2010 12:47 am, edited 1 time in total. 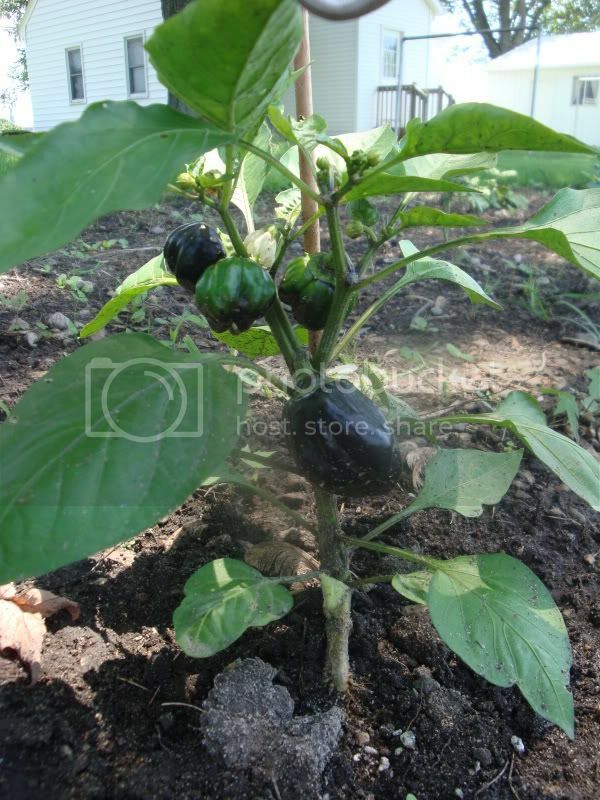 grease monkey wrote: I have peppers on the pepper plants now. Mna this garden is doing just what I had hoped. Now I can share with the family. Yeah, I've got peppers starting on many plants as well. I've got jalepeno's coming along like crazy! I can't wait to make fresh jalepeno poppers! Grow boys, grow! I notice my frist bell coming out too.. my lilac of all plants. Seems weird, thought it would have been a regular green to start. My jalapenos are producing like crazy. I also have habenero's producing, but no one in my family except me, likes hot and spicy food. I'm giving them away as fast as I can. I'm giving Walmart bags of squash, beans, cucumbers, and tomatoes to friends and neighbors. I sneak a few peppers into each bag also. They may toss the peppers, but I can't bring myself to toss them. I guess I need to smoke some meat on my big smoker. I always smoke a lot of hot peppers at the same time and they are really good. tedln wrote: My jalapenos are producing like crazy. I also have habenero's producing, but no one in my family except me, likes hot and spicy food. I'm giving them away as fast as I can. I'm giving Walmart bags of squash, beans, cucumbers, and tomatoes to friends and neighbors. I sneak a few peppers into each bag also. They may toss the peppers, but I can't bring myself to toss them. I guess I need to smoke some meat on my big smoker. I always smoke a lot of hot peppers at the same time and they are really good. Smoking is a great way to eat peppers. You can also pickle them so you can at least have them through out the year rather than giving them all away. I also chop my peppers up and put them in a good tight container and freeze them. That way if I need some for cooking I just scrape out what I need and put the rest back in the freezer. You do lose the crispness of the pepper but at least you still get the heat & flavor to add to a dish all year long.. I'm just starting to get peppers. I hope my bell peppers do well as I've never grown them before and mine were all started from seed. Yay greasemonkey! What kind of pepper plants are you doing? I love growing peppers, and its mainly what I grow in my garden along with tomatoes. You should post pics of your garden! 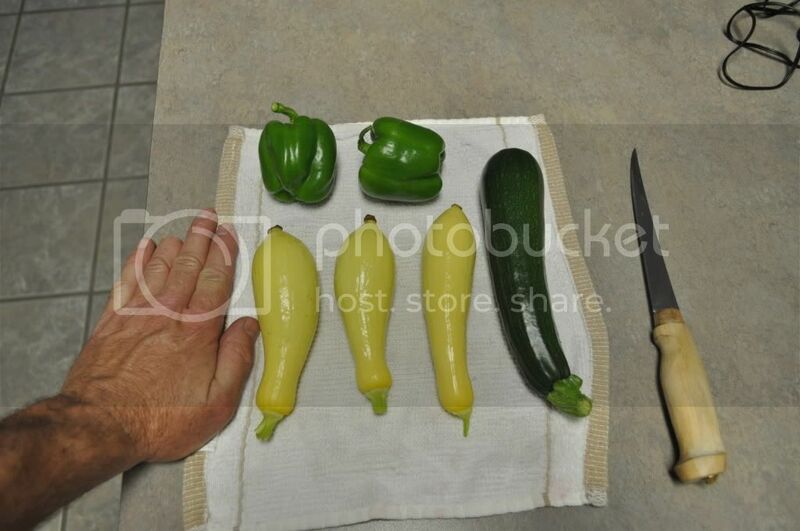 I'm growing some bell peppers, cowhorn, and jalapenos. They are still quite short because I got a late start on them, but I am hoping to have some peppers in a few months time. This just teaches me that I need to start them even earlier next year! Hey Mansgirl, what color are your lilacs? Mine are just starting (actually just one plant) and it looks yellow . I hope their wasn't another seed mix-up. On a side note, my hot bananas are starting to produce and everything (well, almost everything) else is flowering. They almost look black, but the start out green. Hope that helps! What color do yellow and orange bells start out? Are they like red bells and start green but turn red later? Or do they start yellow and orange? This is my first year trying any other color than red or green. Yay for the rest of your peppers! They are my favorite thing to grow. BER on Bell Peps - harvest now?